 Three weeks after MCN scooped spy shots of the 2015 Harley-Davidson Road Glide shooting a new brochure then official images have been released by the firm. The new Road Glide is the latest model to emerge from the Project Rushmore overhaul which has already seen the Ultra Classic and Electra Glide launched this time last year. Rushmore saw Harley accepting it had become a little complacent and had lost sight of what owners wanted from bikes and so the company began a complete makeover of bikes to improve all aspects of the bikes. The Road Glide is an important model; especially for the huge US market where baggers like this make up a massive quota of Harley sales. 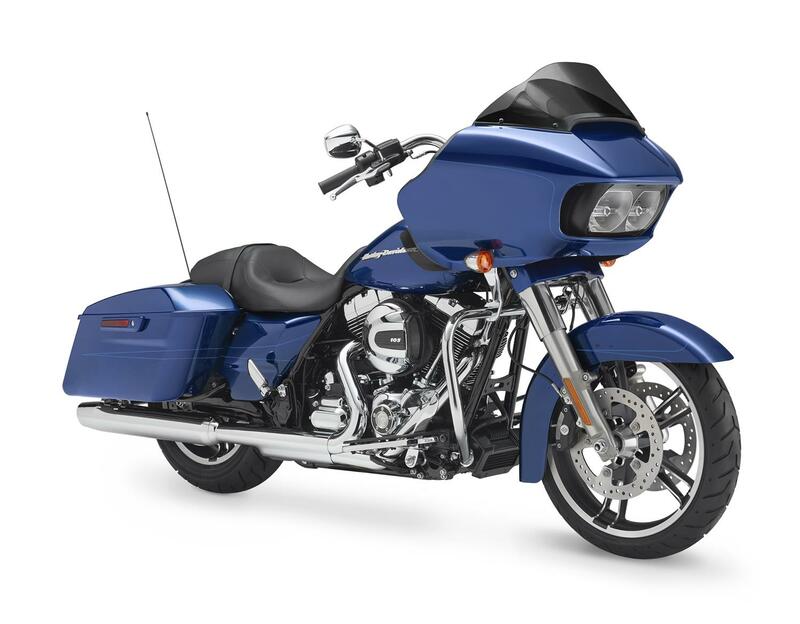 The Road Glide gets twin LED headlights, adjustable rear suspension and offers decent wind protection and touring ability thanks to the large front cowling. The Harley-Davidson press release states: “Shaped by countless hours of wind tunnel testing, the new frame-mounted Road Glide Special fairing features a triple Splitstream fairing that significantly reduces head buffeting while still providing comfortable airflow around the rider. "The brilliant white beams of the Dual Daymaker™ Reflector LED headlamp cuts through the murkiest of nights. Centred in the inner fairing is the premium Boom! ™ Box 6.5GT infotainment system with touch screen and GPS navigation, which can also be controlled by twin joysticks located on a new swept-back handlebar that puts the rider in a commanding, comfortable position. A High Output Twin Cam 1690cc V-twin engine burbles through two chrome mufflers, its abundant torque output always on tap with just a twist of the throttle. 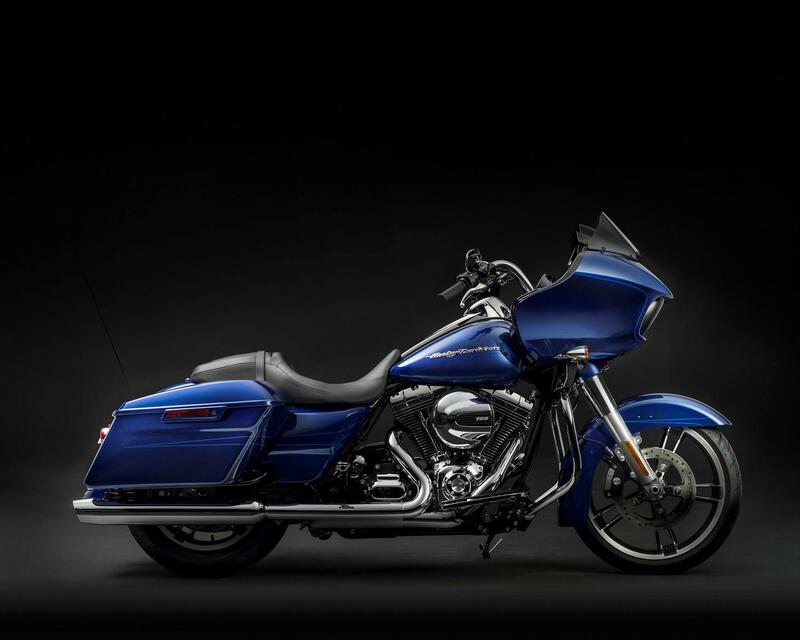 Touring features include One-Touch hard saddlebags, cruise control and easy-to-read gauges.